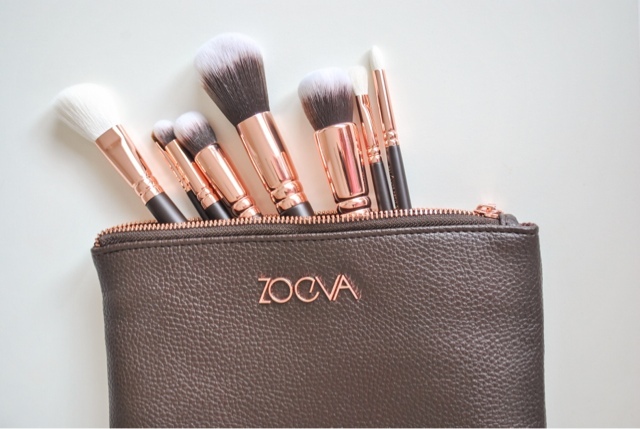 All hail the most beautiful makeup brushes ever invented. 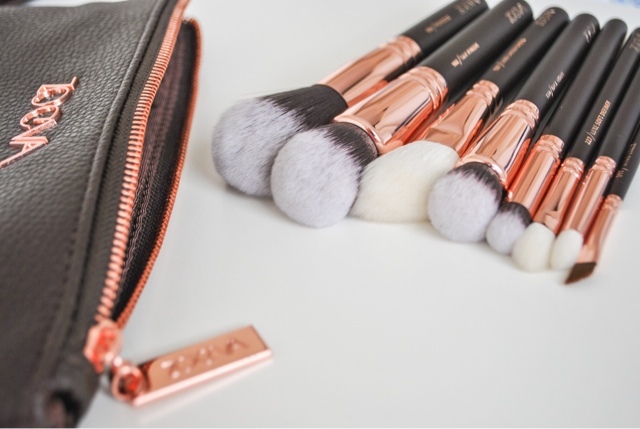 I am obsessed with rose gold and so when my birthday came along I couldn't resist asking my brother to get me these bad boys! And I was not disappointed! They come in a brown drawstring bag to protect the case, which is always handy if you travel a lot. 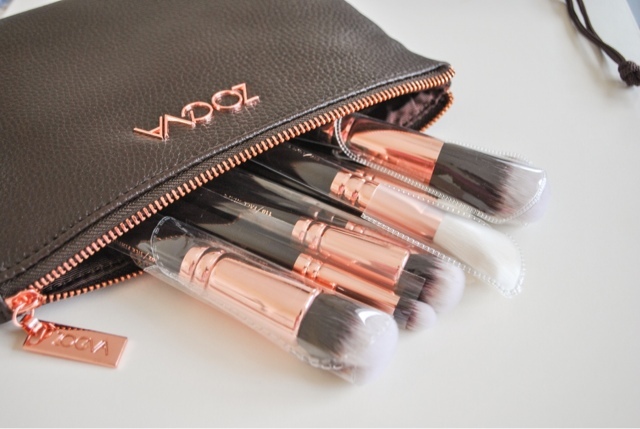 The brown leather case is just as pretty with it ps rose gold zip and logo which is big enough to be an actual makeup bag or a bag for allllll your brushes. 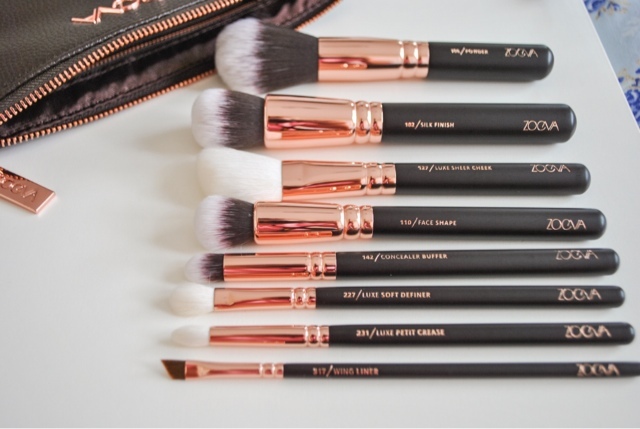 Then there is the brushes themselves, which are softer than I even thought which I didn't think was possible. 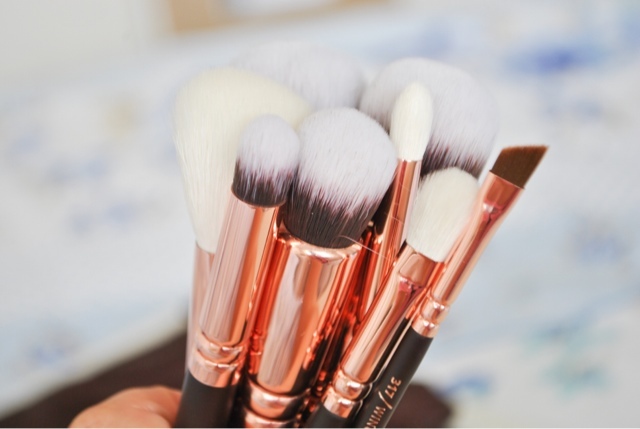 Now if you're like me, I've always settled for cheap brushes as I didn't think I would be able to tell the difference. Oh how wrong was I. 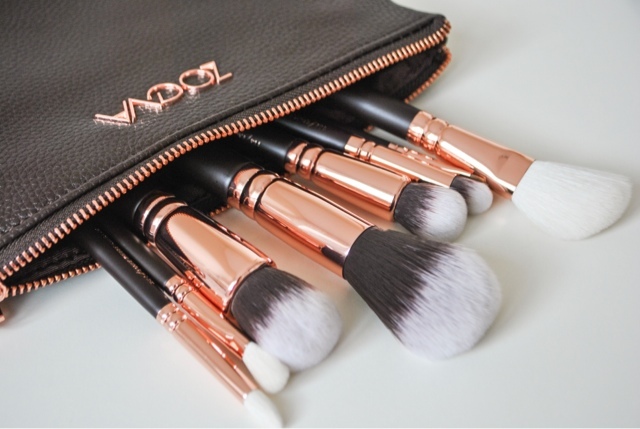 They genuinely help your makeup glide on better and more flawlessly. It took me a good 2 weeks to actually open them and use them because they look so pretty and fresh when they're untouched but I couldn't last any longer. 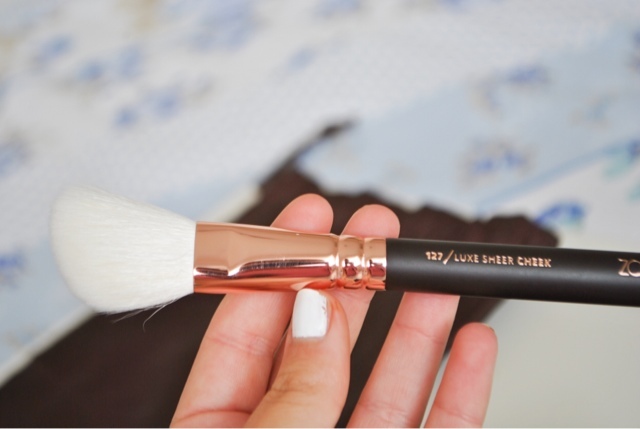 My fav brush out of the collection has to be the blusher brush. It's all so white and soft and just amazing. Can you tell I love them?! If you're thinking about buying these but are still debating then just stop. Look at these pictures and imagine stroking a dead soft teddy bear (I was going to say rabbit but that might put off those animal friendly people). And then click the buy button ! You will not regret it. Pricey but not as pricey as you would imagine. 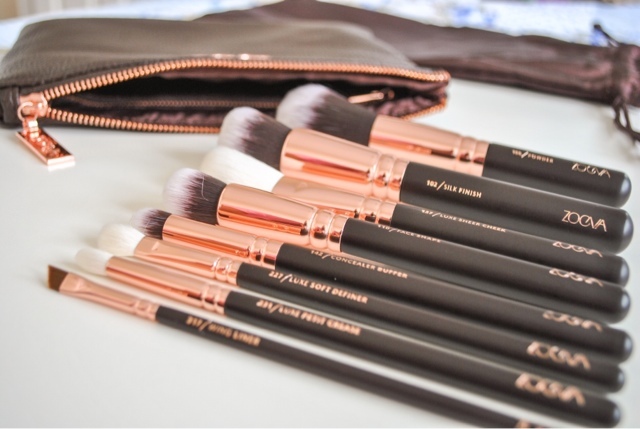 You can also get the normal collection with different brushes but I felt these brushes were more for me as well as them being rose gold. Are you thinking about buying these? Or have you already got them? 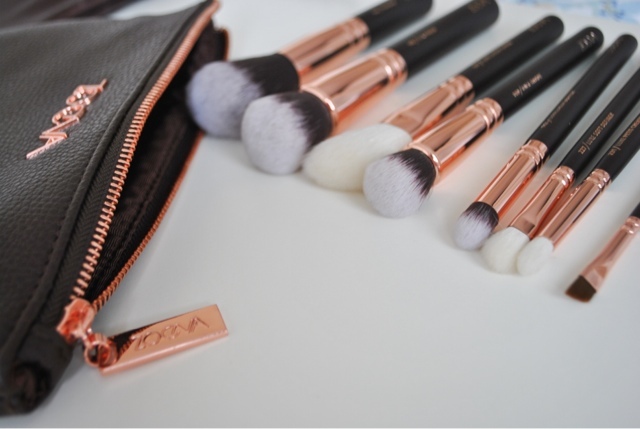 The brushes! The bag! I would buy those beauties just to stare at them all day, haha.